The UKSC has today considered an application by Julian Assange for permission to appeal to the Court in Julian Assange v Swedish Judicial Authority. A panel consisting of Lords Hope, Mance and Dyson has considered the written submissions of the parties and granted permission to appeal. A hearing has been scheduled for two days, beginning on 1 February 2012. The issue raised is whether a prosecutor is a judicial authority. Given the great public importance of this issue, the UKSC has decided that seven Justices will hear the appeal. Details of which Justices will hear the appeal will be annouced in the New Year. In the meantime, Assange’s current bail arrangements will remain in force. If the UKSC dismiss Assange’s appeal, his only further remedy is to apply to the European Court of Human Rights. If the ECtHR declines to take the case, Assange will be extradited to Sweden as soon as arrangements can be made. If the ECtHR is prepared to take the case then it will confirm this and issue a direction to the UK Government that Assange should not be surrendered to Sweden whilst the ECtHR considers the claim. Assange would also have to obtain an injunction against SOCA to prevent his extradition pending the decision of the ECtHR and his current bail conditions would remain in force. Given the high profile nature of this appeal, details will be released in the New Year in relation to facilities for media organisations wishing to cover this appeal. News release on the UKSC website. CPS Blog entry on the extradition process. 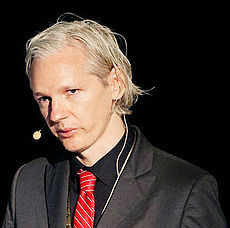 Leave a reply on "UKSC grants Julian Assange permission to appeal against extradition"